As global warming proceeds, the ice fields of southwest Greenland are becoming particularly sensitive to a climate cycle called the North Atlantic Oscillation. Summertime melting of the ice fields in southwest Greenland caused the largest sustained ice loss in Greenland from early 2003 to mid-2013, researchers say. “When we see really big changes in southwest Greenland, we can be sure it’s atmosphere-related, because it’s an increase in surface melt,” says Christopher Harig, an assistant professor of geosciences at the University of Arizona and coauthor of the paper, which appears in the Proceedings of the National Academy of Sciences. Figuring out the connection between warming in southwest Greenland and the North Atlantic Oscillation, or NAO, climate cycle began when Harig noticed a change in the amount of lost Greenland ice in 2013 and 2014. Harig and coauthor Frederik Simons of Princeton University were using monthly satellite data from the Gravity Recovery and Climate Experiment, or GRACE to measure the loss of snow and ice covering Greenland. 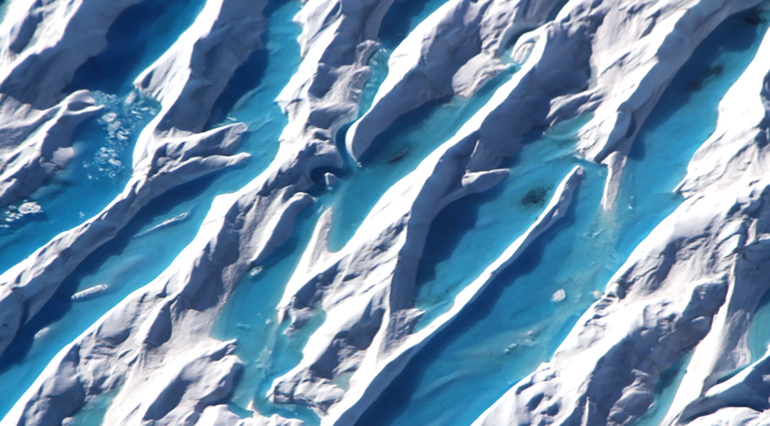 As Greenland’s ice melts, it changes the Earth’s gravitational field slightly, which GRACE can detect. The slowdown puzzled the researchers, so they contacted Michael Bevis of the Ohio State University to see whether the network of GPS receivers along the coast of Greenland showed the same phenomenon. Researchers attached the GPS receivers bedrock. When large amounts of ice melt, the surface rebounds because it that mass of ice is no longer weighing it down. The network, which lets scientists detect the rebound and calculate the lost ice, recorded the same ice loss slowing during the same time period. “We make a compelling case that the North Atlantic Oscillation is really driving this inter-annual variation in ice loss,” Harig says. Additional coauthors are from the Technical University of Denmark; Ohio State University; the University of Colorado in Boulder; the University of Liege; Utrecht University; the Danish Technical University; the University of Luxembourg; and UNAVCO Inc. The National Science Foundation funded the work.